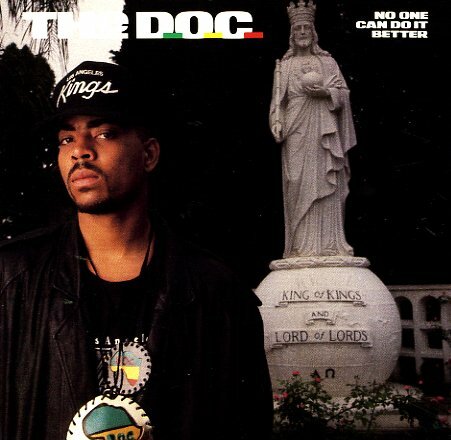 The classic debut album by the DOC, from the glory days of Ruthless Records – one of the few records on the label to live up to the brilliance of NWA at their height! Dr Dre handles the production here – and there's a razor-sharp edge that really matches DOC's wordcraft – as powerful as the rest of the Ruthless crew, but in a different way too – almost more sophisticated, with the messaged buried a bit more in the lyrics. Titles include "The Formula", "It's Funky Enough", "Mind Blowin", "Lend Me An Ear", "Portrait Of A Master Piece", "Whirlwind Pyramid", "No One Can Do It Better", and "The DOC & The Doctor" – plus "The Grand Finale", which features guest work from Ren and Ice Cube. © 1996-2019, Dusty Groove, Inc.